Code of Valor is tension-filled and action-packed! Suspense builds as Brady’s and Emily’s story unfolds, and it is certainly one that kept me guessing. Great characterization and engaging plots are hallmarks of Eason’s writing, and fans of the Blue Justice series are sure to enjoy its latest installment. 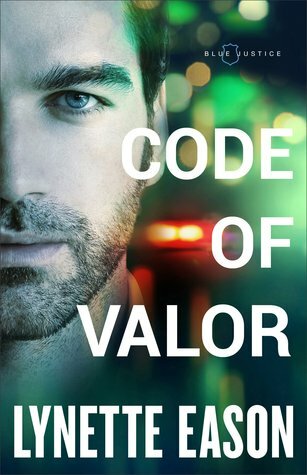 For those who haven’t read the series, Code of Valor is a story that can easily stand on its own. I enjoy the St. John family dynamic and look forward to more of their crime-fighting endeavors. 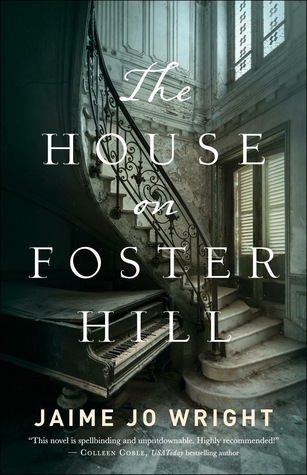 The House on Foster Hill is a page-turning read! I love dual time period novels, and this intriguing tale kept me riveted in both the past and the present. From the well-crafted characters to the intricate plot, I delighted in this outstanding debut novel. Jaime Jo Wright is an author to follow, and I can’t wait for her next release! Please welcome Alexa Verde as she shares a guest post and giveaway! At the end of January, do you still have Christmas in your heart? I love seeing Christmas lights, exchanging gifts, celebrating with my friends. But in January, the lights are taken down (except when people leave them on for the entire year) and the stores switch decorations to hearts and roses. Personally, I think it’s never too late or too early to read or write about Christmas! I released Book 2 in Rios Azules Christmas series in March, and Book 3 in August. If you still feel like reading a Christmas book, be it a heartwarming, sweet romance or a fast-paced, action-packed suspense, here are some eBooks I’m offering for the giveaway. 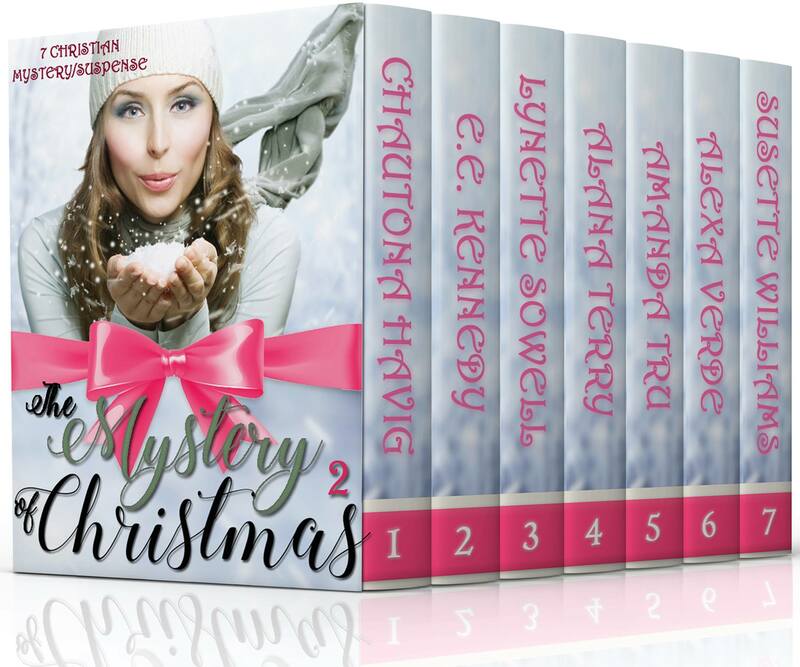 The Mystery of Christmas 2 is only $0.99 or free on Kindle Unlimited. Seven new Christian mystery/suspense novellas! In every book of the set, mysteries are unveiled, suspense abounds, and danger is around every corner. 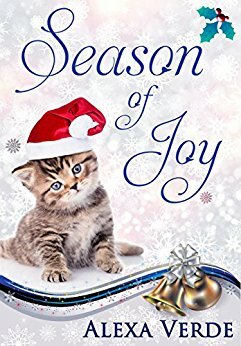 Season of Joy will be on sale for $0.99 January 29th – February 2nd! Single dad Dylan McGregor wants to give his two sons the best life possible in the small town where he’d grown up. When his youngest son writes a letter to God asking for a Mom for Christmas, Dylan reluctantly starts dating again. His lifelong friend, Joy Avila, agrees to help him find the right woman. Then Dylan begins to see Joy in a new light and believes she’s the right woman for him and his family. Overweight and teased in school, Joy never hoped her first crush, Dylan McGregor, would return her feelings. Confident and successful now, she’s found her passion in writing about international travels. The trip of a lifetime awaits her after the holidays. Instead, will she find her dreams right there in Rios Azules? 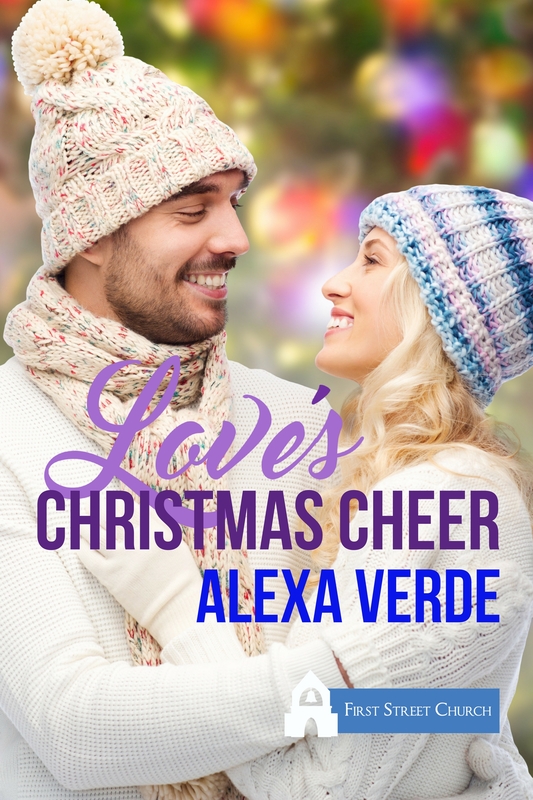 Love’s Christmas Cheer is only $1.99 or free on Kindle Unlimited. Lacy-Jane Macalister returns to her hometown, eager to prove she’s not the culinary failure her ex claimed her to be. After a career in the military, Petr Sergeyev settles down in Sweet Grove to help his brother with his nephew and new business. Grandpa Alexey’s is the only place in town that needs chefs. He’s for hearty meals. She promotes healthy food. He likes order. She prefers creativity. He left his girlfriend. She was betrayed by her fiancé. Their arguments are more heated than the stove in the restaurant’s kitchen. But when Lacy-Jane’s sister and Petr’s brother decide to have their wedding three days after Christmas, Petr and Lacy-Jane put their differences aside to give their siblings a great reception. One randomly chosen commenter to this post will receive a Kindle copy of an eBook mentioned in the post (winner’s choice). To enter the giveaway, leave a comment with your answer to the following question. The giveaway ends Sunday, February 4 at midnight CST. The winner will be chosen and announced on Monday, February 5. When do you prefer to read about Christmas? 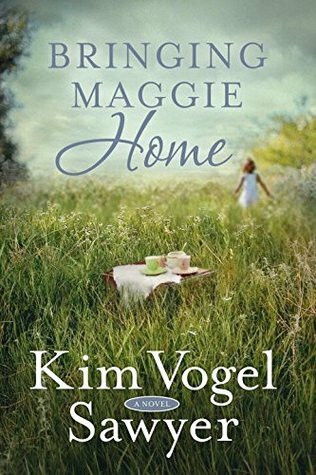 Bringing Maggie Home is a story filled with angst and emotion. The mysterious disappearance of her sister during childhood haunts Hazel DeFord and forever impacts her life. Told from three different points of view, this story gently draws the reader in, and the varying perspectives of three generations offer a deeper understanding of each of the complex characters. A family drama laced with intrigue, Bringing Maggie Home is an enjoyable read. Hazel DeFord is a woman haunted by her past. While berry picking in a blackberry thicket in 1943, ten-year-old Hazel momentarily turns her back on her three-year-old sister Maggie and the young girl disappears. Read what other bloggers are saying about Bringing Maggie Home. I thoroughly enjoyed Threads of Suspicion! In this well-crafted procedural, Henderson takes readers straight to the heart of cold case investigations. Brimming with details and descriptions, I found the complexities of cold case files quite fascinating. I enjoyed the dynamic between Evie Blackwell and her task force partner, David Marshal, as they puzzled through the twists and turns of their investigations. In addition to their case work, I also delighted in the glimpses into their personal relationships. 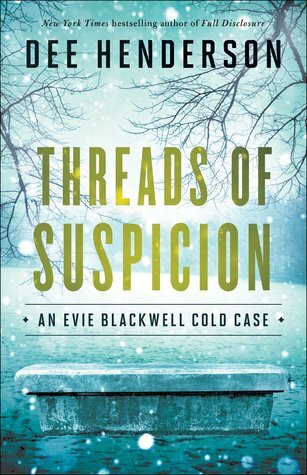 Threads of Suspicion is an intriguing and compelling tale that leaves me eager for more Evie Blackwell Cold Case Files! Evie Blackwell’s reputation as a top investigator for the Illinois State Police has landed her an appointment to the governor’s new Missing Persons Task Force. This elite investigative team is launched with plenty of public fanfare. The governor has made this initiative a high priority, so they will have to produce results–and quickly. Evie and her new partner, David Marshal, are assigned to a pair of unrelated cases in suburban Chicago, and while both involve persons now missing for several years, the cases couldn’t be more different. While Evie opens old wounds in a close-knit neighborhood to find a missing college student, David searches for a private investigator working for a high-powered client. With a deep conviction that “justice for all” truly matters, Evie and David are unrelenting in their search for the truth. But Evie must also find answers to the questions that lie just beneath the surface in her personal life. The vibrant imagery and haunting events of Because You’re Mine gripped me from the beginning, and the twists and turns of the plot kept me turning the pages until the very end. The setting and the gothic atmosphere of the story are absorbing and the unique cast of characters is quite engaging. 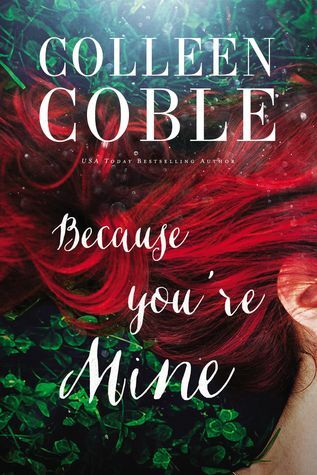 While Because You’re Mine is a bit of a departure from Coble’s usual fare, I thoroughly enjoyed this atmospheric tale. When schoolteacher Amanda’s engagement dreams are shattered, she tells herself she’s fine, though her summer job involves working for Jason’s father. So it’s a welcome delay when she’s called for jury duty on an arson case. A young woman, Harriet, has set fire to the house of a helpless elderly invalid. The defendant is found guilty, but Amanda can’t help asking “Why?” As she explores the evidence on her own, she continually encounters Jason, who may not be quite ready to let her go. Will Amanda ever learn the motive for this vicious crime? And will she survive a ruthless enemy and a devastating prairie fire in time to realize where real loves lies? After a devastating accident stole her fiancé and robbed her of a normal life, Lacy does what she can to move on. It’s hard enough living in Glennallen, Alaska with its negative-fifty-degree winters and mosquito-ravaged summers. Things get even more complicated when she meets Kurtis, an Alaska state trooper, and his delightful four-year-old daughter who would love nothing more than to make Lacy her new mom. A traumatized past makes it hard for Lacy to commit to this new relationship, especially since she can’t shake the nagging suspicion that her fiancé isn’t dead like the police reports claim. All she wants is closure, but as she seeks out real answers, she discovers how deadly the truth can actually be. Nobody stops to think what it would be like to be arrested. That just doesn’t happen to normal people, right? When a major theft happens at a party she’s attending, Sophie James finds herself the prime suspect. Has she been framed or was she just in the wrong place at the wrong time? Now Sophie must convince the police, along with her cop boyfriend, that she’s innocent. With no record, no motive, and no evidence, that shouldn’t be difficult. Then why does no one seem to believe her? To find her missing sister, small-town cop Maya Hutchinson risks her life by posing as her glamorous twin. Under escalating attacks, Maya accepts protection from dashing senator’s son Connor McNamara. Cop turned PI, Connor McNamara has his own secret mission and is forced to choose between family loyalty and love. When the scent of danger draws near, will Connor and Maya survive long enough to forgive and accept each other? Bailey inherits her grandfather’s business, but cleaning up dead body parts wasn’t part of the job description. Bailey hopes to wipe out crime with the help of Nate, her computer hacker assistant, despite protests of their involvement in the case from Detective Max Wellington. Bailey struggles to keep on the path she knows is right, fighting the temptation of the hunky Detective Max Wellington, who would like nothing more than to take her into protective custody, for more than just interfering in police business. 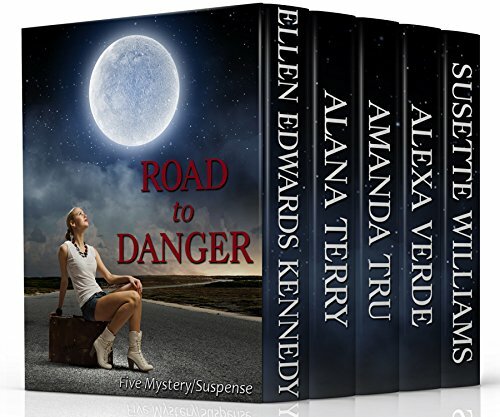 Thanks to the generosity of Alexa Verde, one lucky commenter will win a Kindle copy of Road to Danger. Leave a comment below letting us know what you enjoy most about mystery/suspense stories. The giveaway ends Monday, March 6 at midnight CST. The winner will be chosen and announced on Tuesday, March 7. What do you enjoy most about mystery/suspense stories?